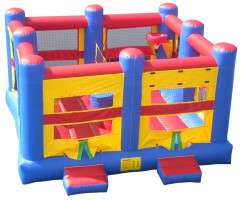 Do you have sports fans at your event? Then our 5 n 1 Multi Sport combo unit is the perfect addition. 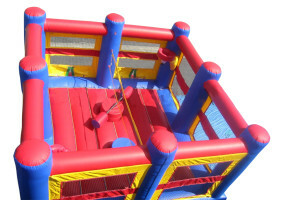 With play areas for jumping, basketball, volleyball, jousting and a box ring, it will be a hit at your party.